In the world of immersive experiences, brand activation and live events, there are few people whose career achievements and reputation precede them. David Wally, Co-Founder and Chief Creative Officer of Mycotoo, Inc. thrives in that coveted pool of influencers, most notably leading the talent and story development of HBO’s Westworld at SXSW 2018. Since attaining his MFA from Purdue University, David has worked for the past three decades in wildly disparate entertainment disciplines such as film, theatre and themed entertainment as a producer, director, writer and executive. Over a 17 year period, he worked as an executive and producer on such films as Scent of a Woman, Hostage and Meet Joe Black at City Light Films (with Martin Brest) and Cheyenne Enterprises (with Bruce Willis). 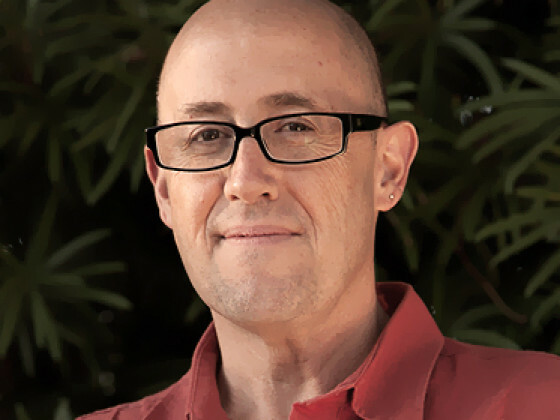 As a principal at Mycotoo, David leads and mentors the entertainment development company’s teams of experience designers, writers and creative directors. While at Mycotoo, David’s role as a leader in the Halloween Industry can be seen through his involvement with the Queen Mary’s Dark Harbor, one of the premier Halloween events in Southern California since 2010. As Talent Director, he has been pivotal in the success of Dark Harbor. Over the years, Dark Harbor’s growth in scale, reputation and revenue have garnered a cult-like following of performers, as well as visitors to the event. David oversaw the design, creative direction and installation of Aftermath 2, one of the largest and most successful haunt mazes at Six Flags FrightFest in 2016. He led the team that conceived, built, installed and operated Alice in Winterland, an original interactive walk-through holiday experience at Queen Mary’s CHILL. David has been an invited speaker on multiple occasions to Southern California’s premier Haunt expos including ScareLA and Midsummer Scream. Having re-conceived and written the relaunch of Universal Studios’ New Special Effects Show in 2015, David’s ability to work in collaboration with Universal to take an existing narrative and revamp it to become one of Universal’s higher rated attractions has been a source of pride. Most recently, David was the Talent Director and Show Supervisor for The Blade Runner 2049 Experience at Comic Con International, 2017. This wildly successful and highly immersive walk-through experience featured memorabilia from the film, pre-show VR with Oculus Rift, RFID interactives and Walk-around Characters which all served to immerse guests within the world of this feature film. The integration of experience design, immersive environment and live events/performance greatly underscore the direction that our industry is headed. As one of the leading creative thinkers in our field, David Wally’s cutting edge work as a writer, director and producer parallels that trajectory, always being at the forefront of successful immersive experiential events.